LOS ANGELES — California on Thursday became the first state in the nation to prohibit restaurants from offering plastic straws for drinks unless patrons request them. Gov. 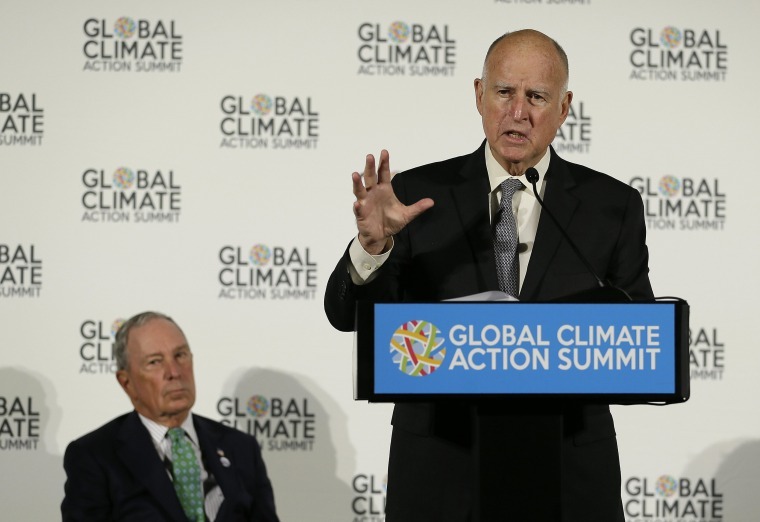 Jerry Brown said in a signing message that plastics are "choking our planet." "'It is a very small step to make a customer who wants a plastic straw ask for it," he said. The law applies only to full-service restaurants, defined as places where waitstaff take orders and deliver food and drinks. The bill's author, state Assemblyman Ian Calderon of Whittier, said that consumers now have "an opportunity to make a deliberate, small change that will minimize the harmful impacts of single use plastic straws in the environment." In the last year, plastic straws have become a key target of environmentalists concerned that they're clogging oceans and killing wildlife. An estimated 835,425 straws were picked up from Golden State beaches between 1988 and 2014, Calderon's office, citing the California Coastal Commission, said. New York City is considering a similar ban and other municipalities, including Seattle and Miami Beach, have already limited plastic straw distribution. In July Starbucks announced it would eliminate its use of plastic straws by 2020. Brown noted in his message that annual global plastic production has been measured at 448 million tons. Much of it ends up in the sea, and the Southern California environmental nonprofit Heal the Bay has been angling for widespread limitations on plastic straws for a year. "Nearly 40 percent of the trash found in the environment is beverage related," the group's spokesman, Matthew King, said via email. "Single-use plastic not only trashes California’s world-class shorelines, it kills marine life." King said Heal the Bay was "celebrating this victory today."